Gregg Doyel of The Indianapolis Star won first place in the Associated Press Sports Editors 2017 contest in column writing in the 75,000-175,000 circulation category. 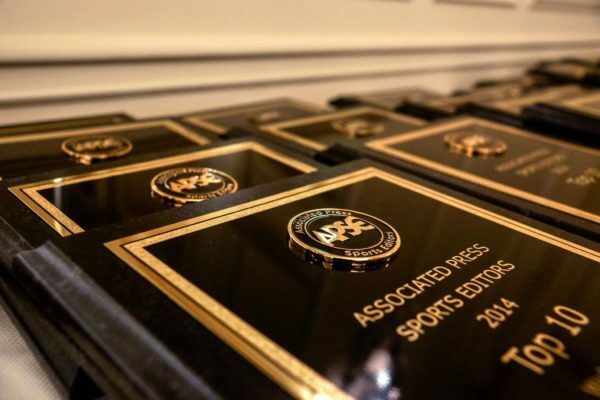 Doyel will be presented a first-place plaque at the 2018 APSE banquet. The banquet and awards dinner concludes the APSE Summer Conference June 17-20 at the Marriott Hotel Nashville/Vanderbilt University. The second- through 10th-place winners will receive frameable certificates. Second place went to Tim Sullivan of The Courier-Journal of Louisville, Ky., and third place went to John Canzano of The Oregonian/OregonLive. A column writing entry consisted of five columns, and was judged based on style, writing quality, originality and local appeal. What do you email your wife when you think you’re going to die? Why is Westbrook so angry with Durant?